This 10-part numbered polypropylene index is a hard-wearing but affordable choice for organising your files. 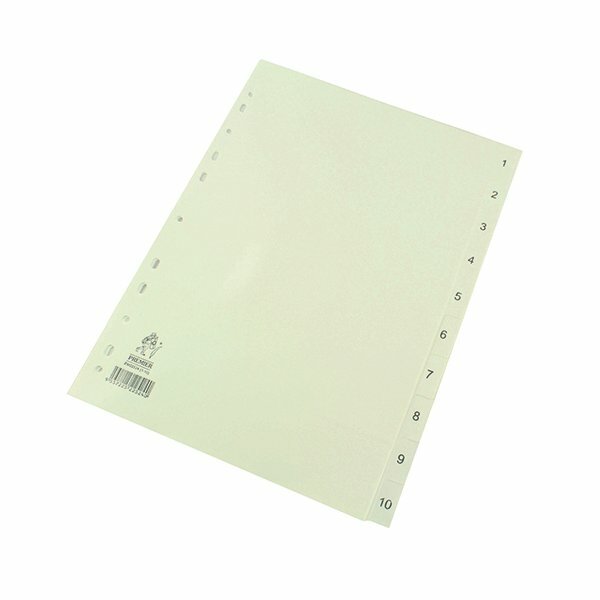 Made from strong, wipe-clean plastic, these dividers are multi-punched to fit almost any A4 ring binder or lever arch file. Divided into 10 parts - pre-printed with numbers 1-10 - it's a functional product that's ideal for organising files in your home or office.